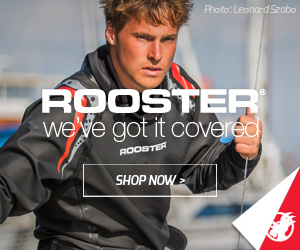 UK sailing has woken up since our last newsletter! With the cold weather out of the way, hopefully we can now settle into a long, hot summer with beautiful sea breezes and great events across the nation. The key element in my opinion is FUN – a word I'll continue to focus on. 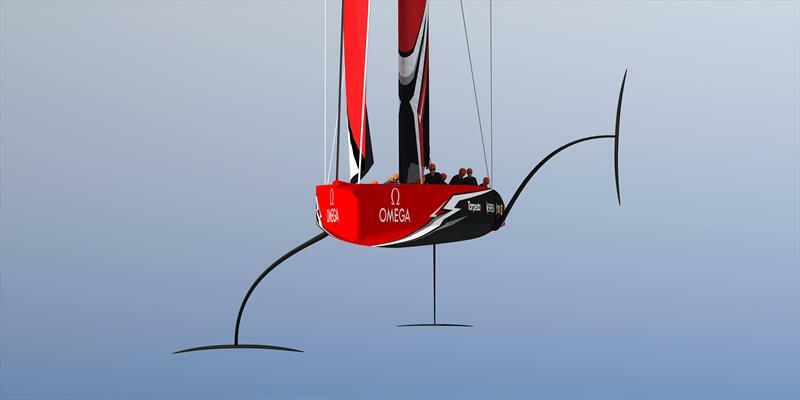 The biggest news in April was INEOS Team UK's challenge for the 2021 America's Cup. Yes, this started as INEOS Team GB, but the BOA pointed out that 'Team GB' is their trademark, so a quick name-change was in order. 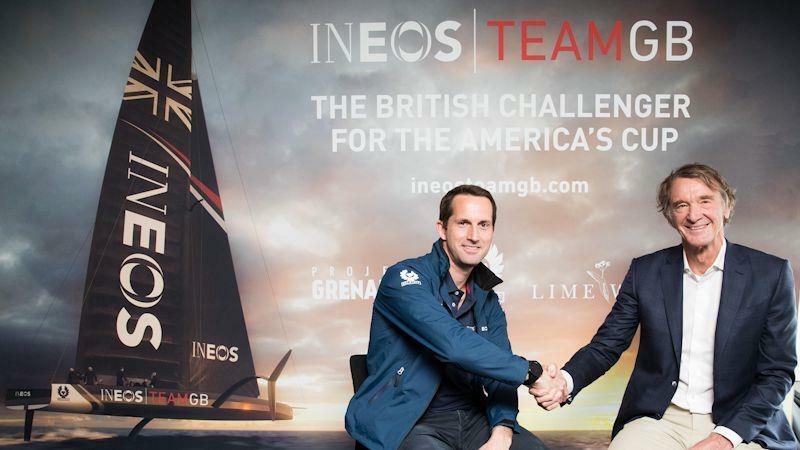 The dropping of previous sponsors Land Rover and 11th Hour Racing for one of the world's largest manufacturers of chemicals and oil products has raised a few eyebrows, but the £110 million that INEOS chairman Jim Ratcliffe has committed proved too hard to ignore for Sir Ben Ainslie and his team. As we've all seen, the new AC75 design is radical to say the least and the research and development is going to be key to a successful bid to finally bring the America's Cup back to the UK. None of this comes cheap, and this kind of funding is what is needed to mount a successful challenge. Now the team needs to learn from the Kiwis, and carefully analyse the rules and design to come up with a winning, and - most importantly - sailable, yacht. The most striking point about Emirates Team New Zealand's win in Bermuda was how the roles on the boat were divided up amongst the sailors, while all the other teams had put so much into the hands of the helmsman, and I'm sure this division of tasks will be key again in the 36th America's Cup. 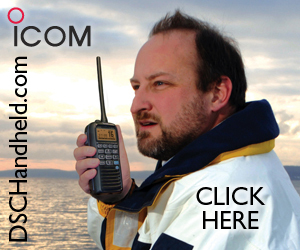 On the 1st May I joined Alistair Dixon and Liz Rushall to present the 'The Future of Dinghy Sailing Webinar'. Liz and I both presented talks at the RYA Dinghy Show, which we found complemented each other in findings and approach. Participation in sailing and keeping young sailors in the sport is an ongoing challenge and we addressed many points in the webinar, and had excellent feedback, questions and ideas from the viewers. You can view the webinar here. Our belief is that sailing needs to adapt to changing lifestyles and ensure that youth and junior events have fun at their core. Many clubs are getting this right, but if we can help all clubs learn from the good ideas that are being implemented, and make sailing more welcoming to all, then we are sure participation can grow. 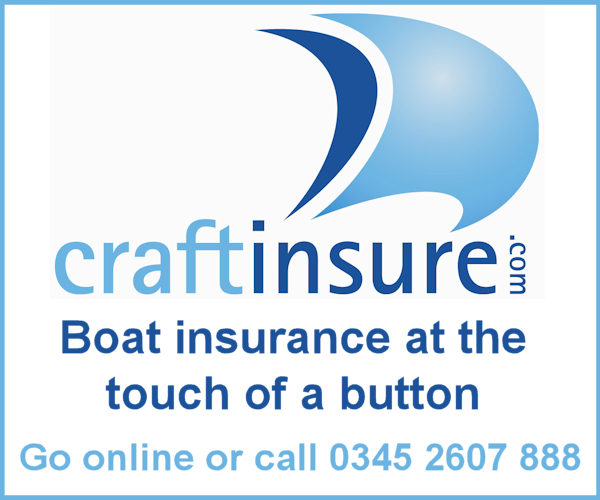 Sailing is a superb sport which can be enjoyed by the very young, the very old, and everyone in-between. We need to make sure kids are hooked on it early and realise just how much enjoyment can be had on the water. We are aiming to follow-up with another webinar on 7th June to keep up the momentum. London is hosting World Sailing's mid-year meeting which starts today at Chelsea Football Club. The biggest point on the agenda is the selection of events for the Paris 2024 Olympic Sailing Competition. The men & women's windsurfing (RS:X), men & women's two-person dinghy (470) and men's one-person heavyweight dinghy (Finn) are up for review. Hard lobbying, petitions and strong opinions have been voiced by those at the top of the Olympic chain down to grass-roots club sailors. 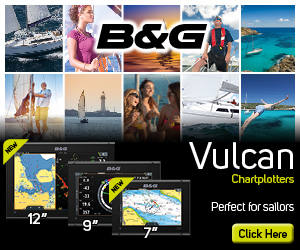 Richard Gladwell has written a superb article on the matter on our sister site, www.Sail-World.com. Elsewhere there was a nail-biting finish to Volvo Ocean Race Leg 8 in Newport, 32 teams battled it out in stunning conditions at the 69th Wilson Trophy and there was little wind, but a lot of fun, in the Eric Twiname Championships at Rutland. As always there are a plethora of reports coming in from events up and down the county and around the world. We welcome them all! Whatever you do on the water, remember to have FUN! For those of you living in the Northern Hemisphere, I hope you fully enjoy this early taste of summer. Apart from being a sunny and warm month, April has been another busy one for all at World Sailing. The Comet Trio Inlands Championship, sponsored by Noble Marine, took place in glorious sunshine at Llangorse Sailing Club in light breezes over the bank holiday weekend. Taylor Canfield's USone Sailing Team completed a clean sweep of the Round Robin at the 68th Argo Group Gold Cup. With very little wind and a big effort from the race management team, the 2018 Optimist Selection Trials were completed with five races over four days. There was a brisk North Easterly blowing down the lake allowing the OD Dan Goodman to use the whole length of the lake, setting a courses with two beats, a long run and a nice fast reach across the lake, the same course worked for all four races. 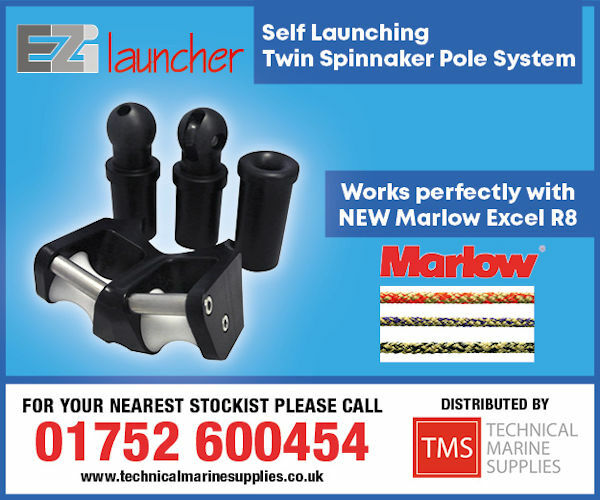 On the 5th May the D-Zero fleet gathered at Hunts SC. The sun had decided to come out and play, unfortunately the wind decided not to and could best be described as variable in both strength and direction. A forecast of light wind decreasing to virtually nothing overnight faced racers planning to tackle the 100 mile Ancasta Roscoff Night Race, on Friday evening. A few people made the journey on Saturday and enjoyed a BBQ and a few beers in the beautiful sunshine, which we had all weekend (unusual for a bank holiday!) The format was two races in the morning, a fantastic YDSC lunch, and two races in the afternoon. Snetfest 2 promised to be a top event following the previous year's open meeting at Snettisham Beach SC and it didn't disappoint. Sixteen visitors and four home boats made up the entry list of twenty competitors. The 2018 Antigua Bermuda started on Wednesday 9th May off Fort Charlotte, Antigua. 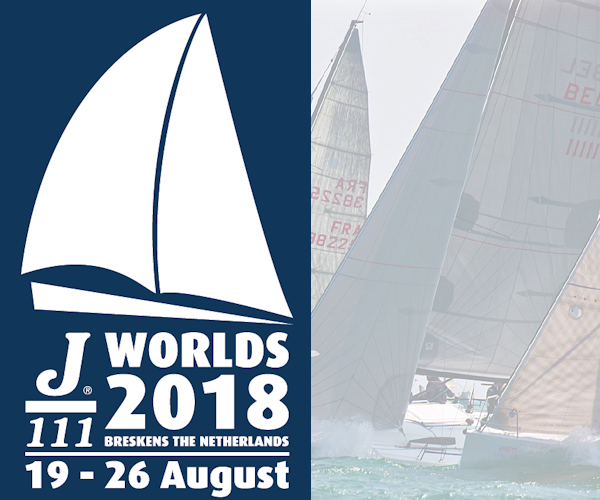 Brilliant sunshine and 20 knots of trade winds combined to produce a spectacular start for the 14 yachts and 96 sailors competing in the 935 nautical mile oceanic race. New 18ft event format bags new team: "Calshot made us take the plunge"
This year, the success of the Solent Grand Prix Series has attracted interest from new teams joining the U.K. fleet. We speak to Luke Goble who is part of the team which has just taken on ownership of Sail4Cancer. 2018 will mark an impressive 30-year anniversary for Skipper David Robinson as he joins some 12,000 other sailors set to master one of the world's largest yacht races, often referred to as 'Britain's favourite yacht race'. To be known as the Exposure Lights Coastal Night Races, both races take competitors over a 35 mile course through the night. One race is based in Dun Loaghaire while the other is based in Pwllheli, Wales. The Lennon Racewear Laser Masters National Championships being hosted by the Royal St George Yacht Club is fast approaching! 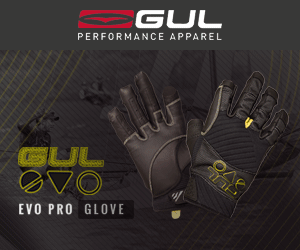 On 19th and 20th May, over 40 entries are expected with confirmed entrants from the UK, Sweden and the USA. Day nine dawned with the news that the first points of Race 10: The Garmin American Challenge had been awarded, though the Elliot Brown Ocean Sprint advantage did come at a cost to some. The second event of the 2018 RS season happened over the bank holiday of 5/6 May in Rush Sailing Club, North Co. Dublin to host the Eastern Championships for RS400s/200s/Fevas. We spoke to Andy Rice, the founder of the Selden SailJuice Winter Series, about how the series started in the first place, the growth that has taken place over the last ten years, and what plans are in place for the 2018/19 series. 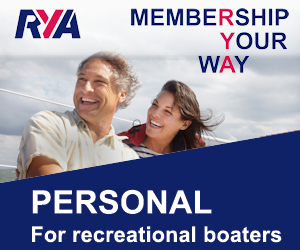 The RYA is excited to announce its first ever 'Girls Only' Foil Training Weekend for female instructors! The forecast for the May Bank Holiday weekend in Burnham-on-Crouch resulted in mixed feelings; warm and sunny, but would there be enough breeze to race? 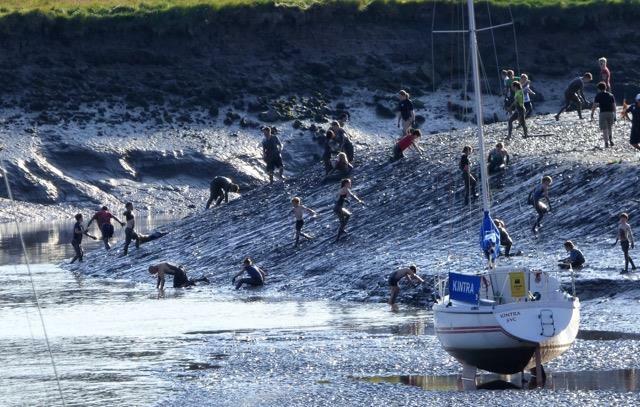 There was a clear North-South divide as 35 Squibs hit the start line for the Squib Gold Cup hosted by Royal Corinthian Yacht Club. The weekend of 5th & 6th May was the second of the Scaling Dam Sailing Club Trophy Weekends, with the first having been held over Easter. The RNLI Sprint Trophy consisted of short general handicap races, each around 20 minutes long. Many thanks to Exposure Lights for sponsoring their first race with JOG and for providing excellent prizes for the après-sail party in the delightful port of St Vaast on Saturday 5th May. 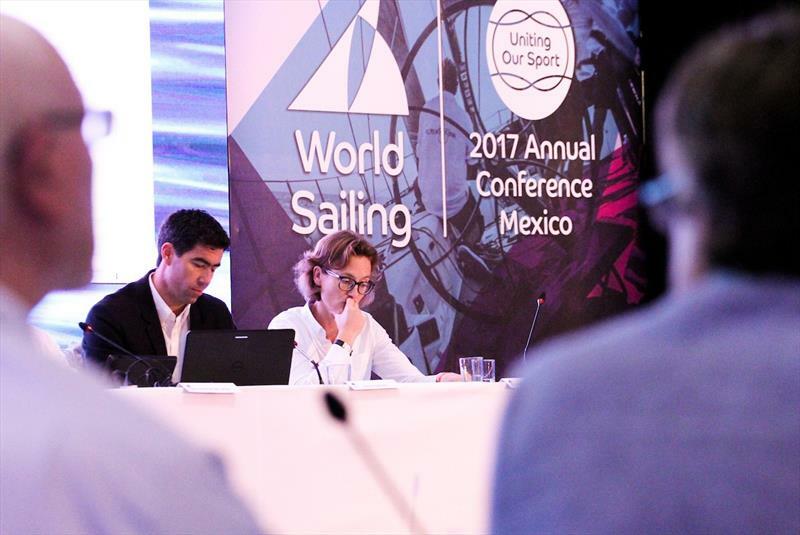 London, Great Britain will host more than 200 international delegates from 10-15 May 2018 for World Sailing's 2018 Mid-Year Meeting. 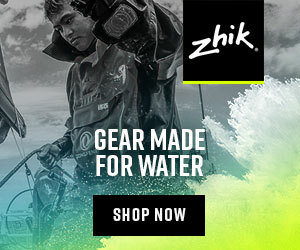 Zhik are introducing a new edition of their highly popular ZKG watersports shoes for 2018. 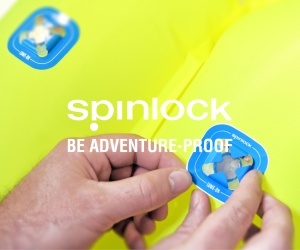 These modern, sneaker-style shoes incorporate a new, quick-drying mesh inner and outer fabric containing an integrated neoprene upper. The best turnout of the year, with Corinna (the Class's boat that's now available to charter on a w/e basis), looking fast having just been painted and launched for the weekend, in the hands of Andy Barr. The Solent Sunbeam Class enjoyed beautiful weather at the 30th running of the Henry Chisholm weekend, over the Bank Holiday weekend at Itchenor Sailing Club. Glorious sunshine and light winds were the order of the day for all four races. The glorious Bank Holiday weather made for a great turnout and good sailing in this week's RLymYC Monday Evening Dinghy race. Race officer Steve Green set sensibly short windward-leeward courses to the east of the river. A bumper fleet of 12 boats attended DBSC for the opening event of 2018, all keen for the chance of pro training and practice to get ready for the busy season ahead. The third round of the Contender Travellers' Series was contested for on the weekend of the 28th and 29th April 2018. The Spanish team MAPFRE stunned the Volvo Ocean Race fleet on Tuesday morning by stealing a win in Leg 8, with a shocking come-from-behind victory into Newport, Rhode Island. 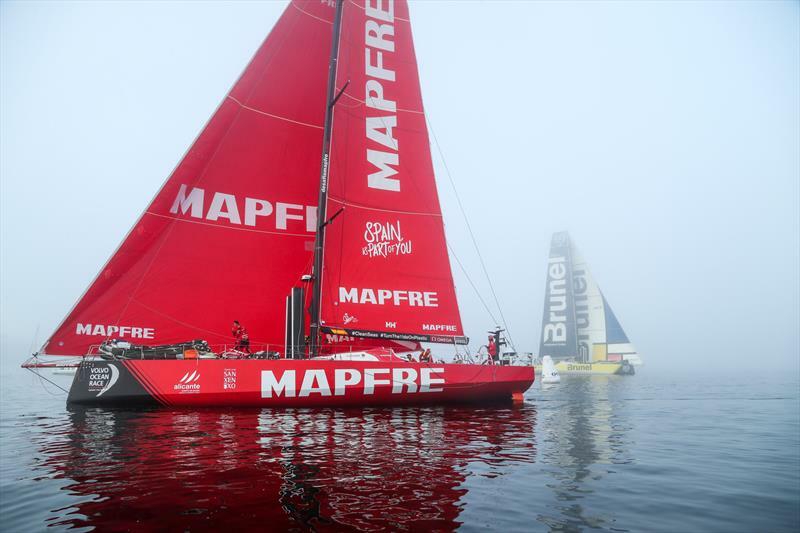 On Monday, with just 300 miles to go, MAPFRE was in fifth place. The West Kirby Hawks have won their fifth Wilson Trophy after a weekend of the closest racing in recent years. 32 teams took part from all over the UK, with overseas visitors from Ireland, USA and New Zealand. At long last a bright yellow light appeared in the sky this weekend. Some of us who are old enough to remember it, call it the SUN. Whatever this strange round glow in the sky is, it has the magical effect of drawing people towards any kind of water. 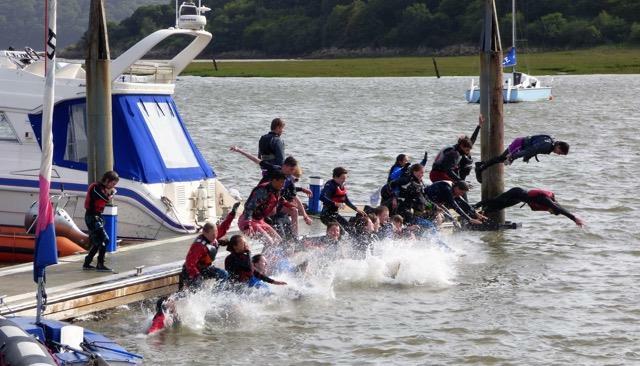 Whitstable Yacht Club Push the Boat Out Day: 90 new sailors out on the water! WYC has always responded to national 'Try a boat' and 'Push the Boat Out' days and over the years has been rewarded with an encouraging amount of interest and some very loyal new members. Sunshine, reasonable tides and light airs bode well for the early May Bank Holiday weekend keelboat racing; for the Redwings it was the first races of their season and the Quail Trophy, and the One-Designs it was for the Woodroffe Bowl. 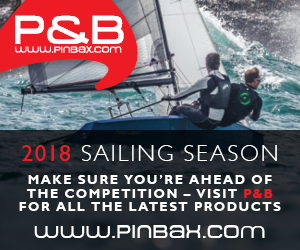 Sun-drenched Salcombe celebrated a truly amazing three days over the May Bank Holiday with Club racing, an Open Meeting for Yawls, RS400s and National Twelves together with a Merlin Rocket sailors wedding and a Town Crab Fest.